Get an 800 number with unlimited call forwarding inbound toll free minutes! Update 2017: If you’re looking for a great toll free number at a great price, UniTel Voice has you covered. We’re now offering virtual phone system plans with unlimited 800 number service call forwarding and unlimited department or employee extensions. Whether you’re running your business from your home, office, or cell phone, UniTel Voice keeps you connected and sounding professional. 1. 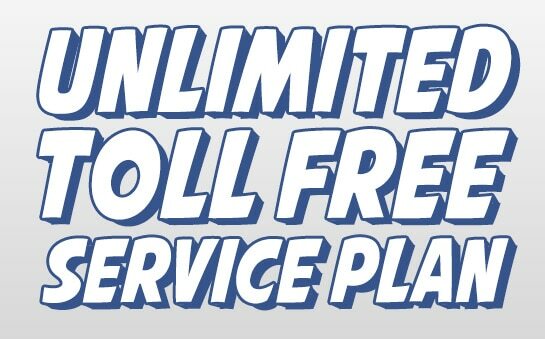 Does unlimited toll free service with UniTel Voice include unlimited extensions? Yes, unlimited calling plans also include the ability to set up unlimited employee and department extensions. You can set up a fully functioning auto attendant and utilize all the phone system features of the UniTel Voice virtual office phone system including the ability to set up unlimited greetings, extensions, and voicemail. 2. Is unlimited 800 number service with UniTel Voice affordable? Yes, UniTel Voice is now offering cost-effective no limited toll free plans enhanced with virtual phone system features for startups and small business. Buy a toll free or vanity number today with unlimited inbound calling at a rate you cannot beat. Learn more about our toll free number service here. 3. Is unlimited toll free forwarding service reliable? With UniTel Voice you get industry-leading network reliability at the most competitive rate on the market. All toll free number service networks are monitored 24/365 days per year. And our cloud hosting architecture and redundant backup systems provide lightning fast reliability, and the security of knowing your toll free service will keep you connected. 4. Can I start with a lower monthly plan and then upgrade to unlimited minutes? Yes, and that might be a smart move. With UniTel Voice there’s no contracts and everything is month-to-month. You can start on a small plan and jump up to a larger per minute plan at any time. It might make sense to start small and as your call volume increases jump up in plans. Or if your call volume slows down you can always downgrade as well. 5. Does UniTel Voice service include unlimited call handling? Your UniTel Voice toll free number can handle virtually unlimited simultaneous calls. In other words if you had 100 people call into your line at one time your auto attendant would answer the call and route it to the proper phone, extension, or voicemail. No busy signals, ever.